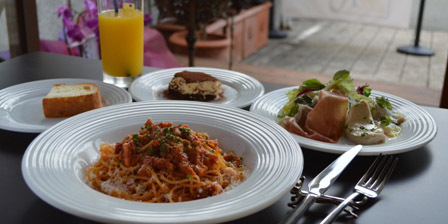 Gourmet Italian restaurant on Kamino-ura Street. The national-prize-winning chef serves the highest quality Kumamoto produce in a simple but dynamic way with expertise developed and polished in Italy and Tokyo. No synthetic seasonings are used.